I found this recipe the other day and oh my goodness, it was yummy! Cass and I loved it, kids liked it, even the neighbor kids that were over for dinner liked it. I made just a few adjustments, of course, since I never make a recipe as-is. Below is my version…..please, try it very soon! 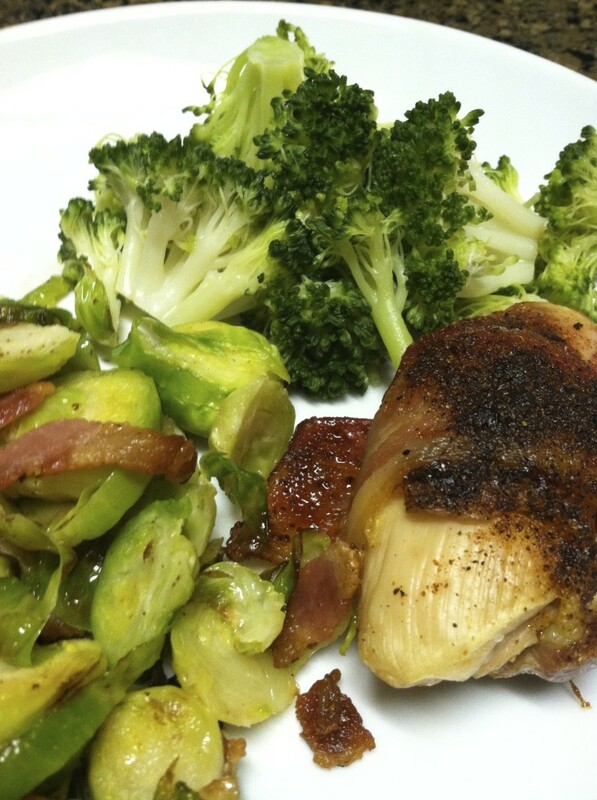 Sprinkle some seasoning on the chicken thighs, wrap each thigh in bacon, then sprinkle again. Line a baking sheet with foil, spray/brush with olive oil, then place each thigh on the sheet. ***I had quite a bit of the seasoning left over….I plan to use it as a dry rub on burgers soon, or maybe on some grilled chicken. Any other ideas?